Ireland’s largest public service union has welcomed a Government Bill that would compel firms to report on their gender pay gaps, but says it wants to see a quick expansion of the number of companies covered by the new law. Fórsa says the Gender Pay Gap Information Bill 2019 effectively confirms the Government’s intention to limit gender pay gap reporting to organisations with more than 250 employees, at least initially. The union says this omits about two-thirds of the workforce, and says it’s imperative that the threshold falls to 50 after three years, as envisaged in the Bill. Fórsa official Geraldine O’Brien also welcomed provisions in the Act that require data to be disclosed by pay band and job classification. “This implies that gender pay data will be available on a grade-by-grade basis. I’m also pleased to see that regulations could give employers a duty to publish the measures they are taking to close the pay gap. This would give Fórsa and other unions a great opportunity to negotiate actions to address pay inequality,” she said. Regulations could give employers a duty to publish the measures they are taking to close the pay gap, this would give Fórsa and other unions a great opportunity to negotiate actions to address pay inequality. The legislation will also require reporting on differences in bonus pay, part-time pay and the pay of men and women on temporary contracts. “These are positive steps, but a further 22% of the workforce will be covered once the reporting threshold falls to 50. We’ll be watching closely to ensure that this happens in the three-year timescale proposed,” she said. Last June, Fórsa criticised the Government for publishing its own legislation on the issue, rather than amending an existing opposition Bill that was already well advanced. “The failure to amend and support Ivana Bacik’s pioneering Bill has slowed down the process, and there is now an onus of the Government to enact this legislation quickly,” said Ms O’Brien. 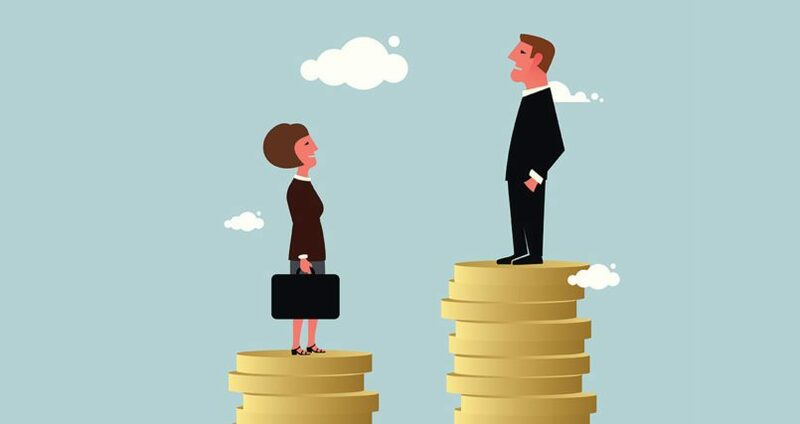 Fórsa has been at the forefront of the trade union campaign for legislation on gender pay gap reporting, which it says would encourage employers into tangible action to bridge the gap.